Before you make a wild guess, you can add dozens of steel companies, metal stampers, metal press companies, railroads, a fighter pilot school and even a university to the list. 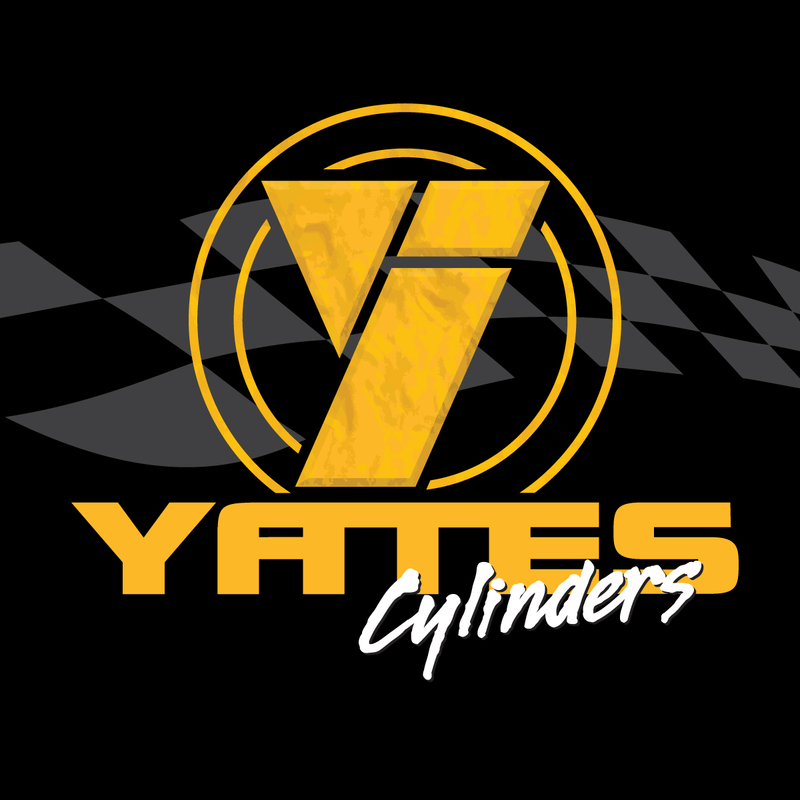 They all use Yates Industries’ cylinders. 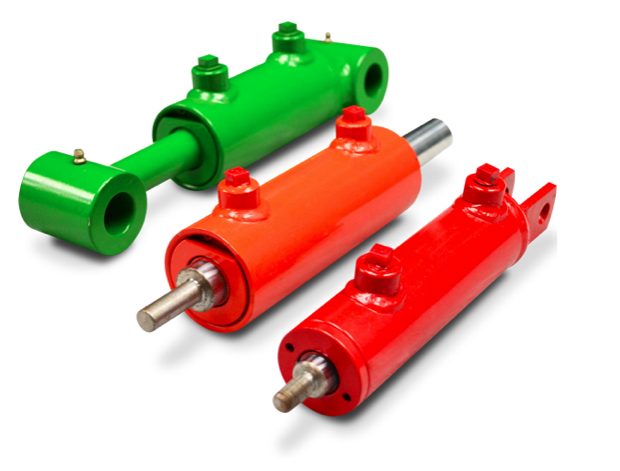 Hydraulic and pneumatic cylinders are used in thousands of industrial applications and since 1972 we have had the single focus of being the country’s best source for cylinders. Starting on Detroit’s East Side 42 years ago, working first with the American steel industry, we now supply cylinders throughout mainstream American commerce. This single-minded purpose is the driving force motivating our team of dedicated professional craftsmen to produce reliable and cost effective products that operate at peak performance, every time. We are so confident in our product quality, we offer an industry-leading three-year warranty on all our Yates N.F.P.A.-mounting style cylinders. For us, continuous expansion means the capability of always providing the best service possible to our customers wherever they are located, in the U.S and beyond. 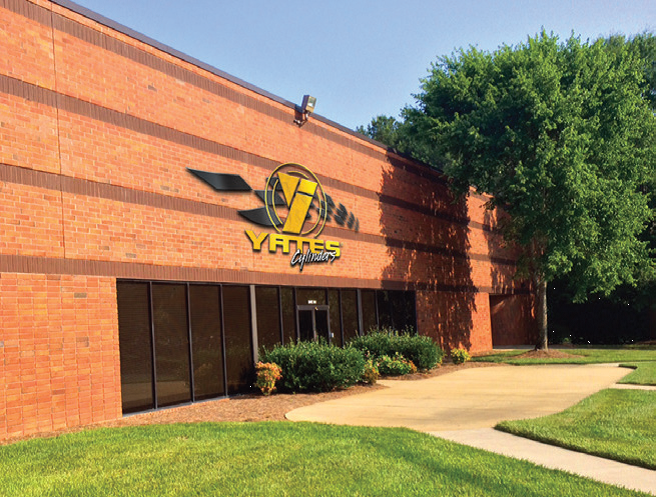 Our newest Yates Cylinders Georgia Division in Austell joins Yates Cylinders Alabama in Decatur and our HQ in St. Clair Shores, Michigan. With these three locations we can service the entire U.S., east of the Mississippi, with the fastest turnarounds in the industry. Our company locations are further supported by a national distributor network and direct sales force headed by Steve Cavera. From Sault Ste. Marie to the Gulf of Mexico and beyond, we supply North American industry with new cylinders and hydraulic cylinder repairs that are reliable and operate at peak performance. Yates Industries is an ISO 9001:2008 certified company. Put us to the test. When you do, we know we’ll be your cylinder source and we’ll continue to deliver you the best products – on time, every time.